Title: 09/17/1987 - Definitions of target organ and hazards of chemicals under the Hazard Communication Standard. ILPI Notes: This interpretation is based on and references the original HCS 1986 which, along with HCS 1994 is now obsolete. It references portions of the standard that have since been deleted or changed. While the answer to Questions 1 is still generally correct except for the references to the obsolete standards, the answer for Questions 2 and 3 are no longer valid under the current regulation which expanded the definition of health hazard. This letter is presented for historical purposes only. This is in response to your letter of July 21 concerning the Hazard Communication Standard, 29 CFR 1910.1200 [in context: HCS 1994 | current regulation: HCS 2012]. Question 1: Define target organs. 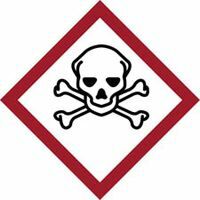 Answer:As defined in Casarett and Doull'e Toxicology, the Basic Science of Poisons, Most chemicals that produce systemic toxicity do not cause a similar degree of toxicity in all organs but usually produce the major toxicity to one or two organs. These are referred to as target organs of toxicity for that chemical. Appendix A of the Hazard Communication Standard [in context: HCS 1994 | current regulation: HCS 2012] provides a target organ categorization of effects chemicals which have been found to cause such effects. The examples given are presented to illustrate the range and diversity of effects and hazards but are not intended to be all-inclusive. Question 2: After defining same, please advise where a manufacturer can obtain a list of target organs versus hazardous chemicals. Answer: As stated in our June 29 letter, Appendix C of the standard [in context: HCS 1994 | current regulation: HCS 2012 Appendix A and Appendix F] provides a list of available data sources which can be used to determine the target organ effects of chemicals. Question 3: Define hazards of chemicals. 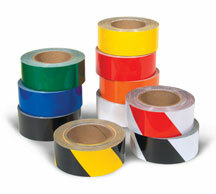 Safety Emporium carries warning, directional, aisle marking, glow in the dark, reflective, and fluorescent tapes plus a whole lot more. Answer: The Hazard Communication Standard defines "hazardous chemical" to mean any chemical which is a physical or a health hazard. "Health hazard" means a chemical for which there is statistically significant evidence based on at least one study conducted in accordance with established scientific principles that acute or chronic health effects may occur in exposed employees. The term "health hazard" includes chemicals which are carcinogens, toxic or highly toxic agents, reproductive toxins, irritants, corrosives, sensitizers, hepatotoxins, nephrotoxins, agents which act on the hematopoietic system, and agents which damage the lungs, skin, eyes, or mucous membranes. Appendix A [in context: HCS 1994 | current regulation: HCS 2012] provides further definitions and explanations of the scope of health hazards covered and Appendix B [in context: HCS 1994 | current regulation: HCS 2012] describes the criteria to be used to determine whether or not a chemical is to be considered hazardous for purposes of the standard.